The Lush Chef: Ken Burns' "Prohibition"
I normally don't post on Fridays, but I found it my Lush Chef duty to share with you all the news about acclaimed documentarian Ken Burns' opus on Prohibition that will be premiering this coming weekend. The 5 1/2 hour documentary will be airing on PBS over the course of 3 days—October 2, 3 and 5 at 8:00 p.m. He co-directed it with Lynn Novick and it charts the "rise, rule and fall of the 18th Amendment...and the entire era it encompassed." 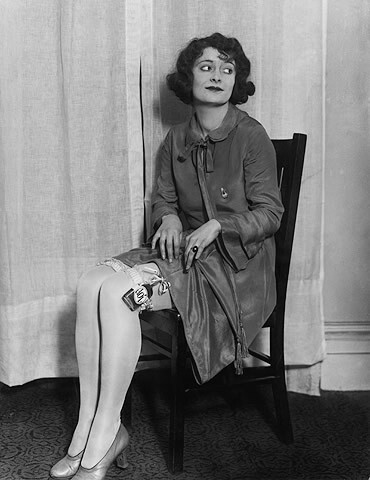 If Prohibition hadn't been repealed, I wouldn't be entertaining you today with this blog! 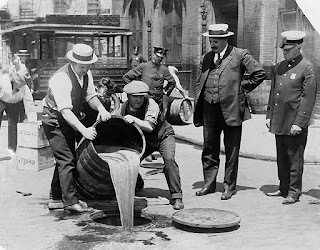 On January 16, 1919, our silly Congress passed the 18th Amendment, with the intent to curb alcohol abuse and its effects, as well as ennoble Americans. Instead, it had the opposite effect. Drinking increased, once innocent citizens turned to rum-running and boot-legging, and large pockets of organized crime sprang up that remain here today. It was one of the most misguided efforts by our government to date, but the era has also inspired today's mixologists to look back at our history and honor the creativity of those scofflaws. Luckily, on December 5, 1933, the 21st Amendment was ratified (Utah being the last state to vote for the 3/4 majority) and Prohibition and the Volstead Act were repealed. Check out PBS' site for "Prohibition," where you can learn more about this era, watch some videos and explore their photo gallery. Maybe take a visit to The Varnish, squirrel away a flask in your garter and have them make you an illicit-inspired drink. Me? I'll be parked on a couch with an old-timey cocktail and tuning in.